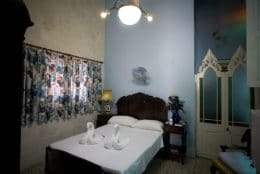 Fabio and Eugenio, an economist and doctor, rent a number of comfortable rooms in this delightful colonial casa particular in Old Havana. 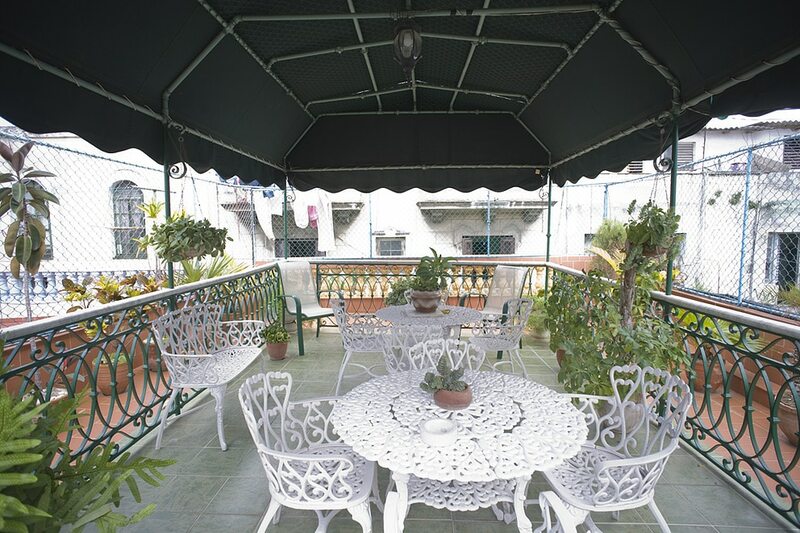 It dates from 1920 and some of the rooms are on the roof terrace itself. 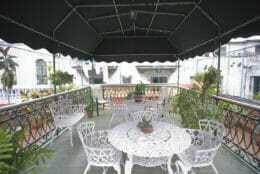 It feels more like an antique shop than someone’s house and even the sunny roof terrace has antique swings. 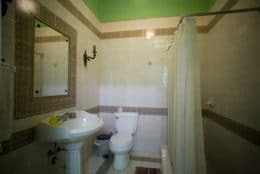 The tranquility and serenity contrast sharply with Habana Vieja’s mazy, bustling streets outside, and the central location means it will never take more than 5 minutes to get back to your safe haven. Enjoy! 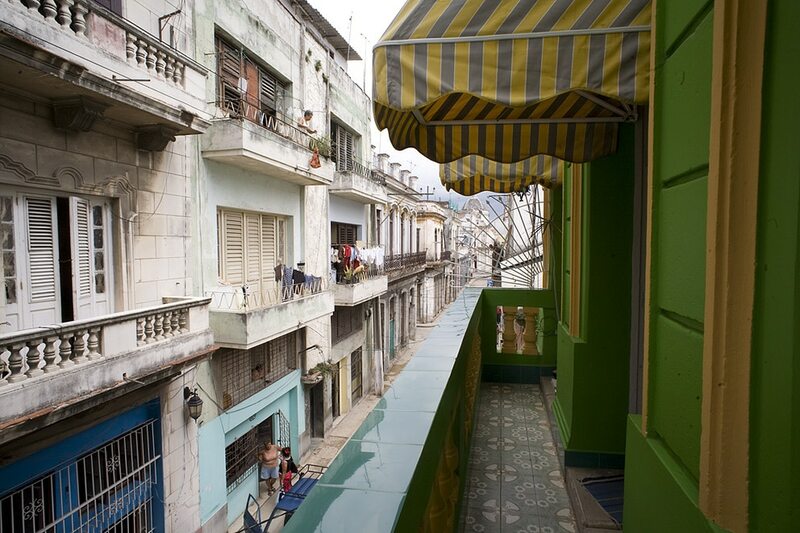 We stayed for 4 nights in a casa particular in Havana Cuba and it was a really great stay. 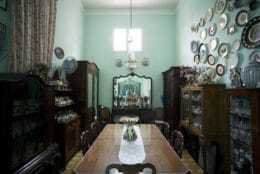 The casa particular is in a great location in Havana Vieja and the staff were really helpful and even arranged a very reasonably priced taxi when we left to take us from the casa to the airport in Havana. 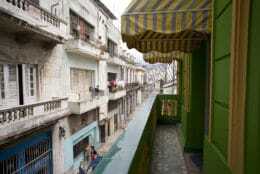 I would recommend this to anyone who wants to experience a little of the real Havana Cuba. 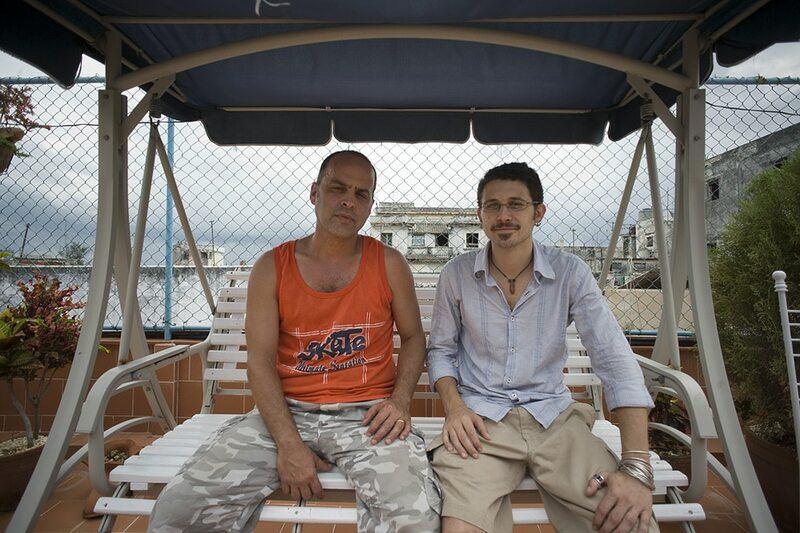 Everything was great at Casa Greenhouse in Havana Cuba! Great place to arrive at from the airport. Very welcoming and 5 min walk to Plaza Vieja. Large breakfasts satisfied everyone. 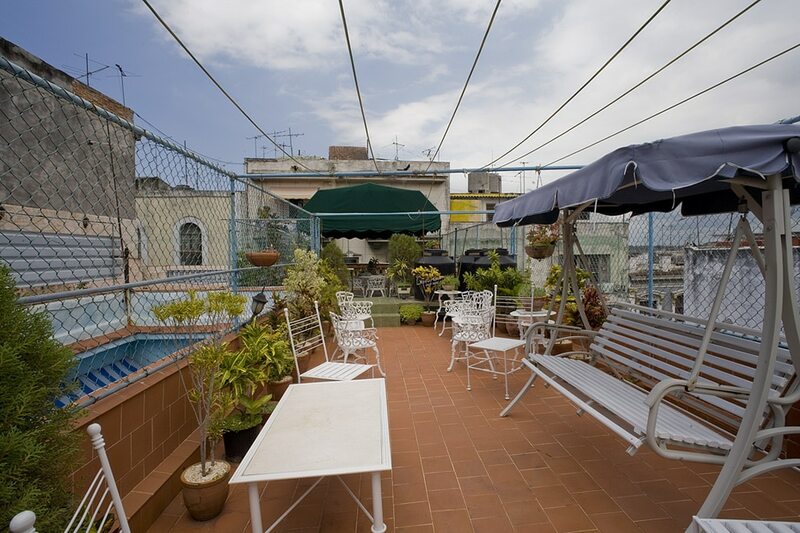 Good casa particular in Havana, and very nice roof terrace. Happy to recommend for accommodation in Havana. Wonderful stay. And they organised transport for us too. 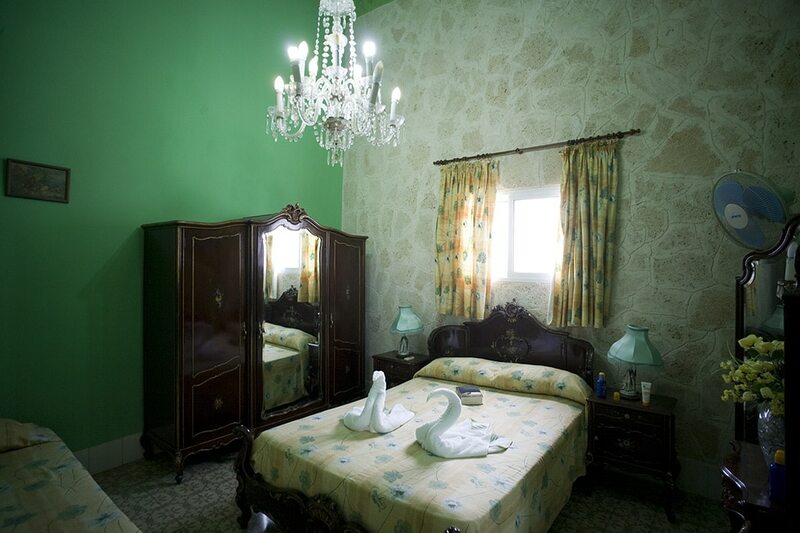 Very friendly and helpful casa particular in Havana.Thank you! Excellent Casa particular in Havana. Good location. Very friendly, and helpful hosts. I recommend this highly, and we would stay there again. 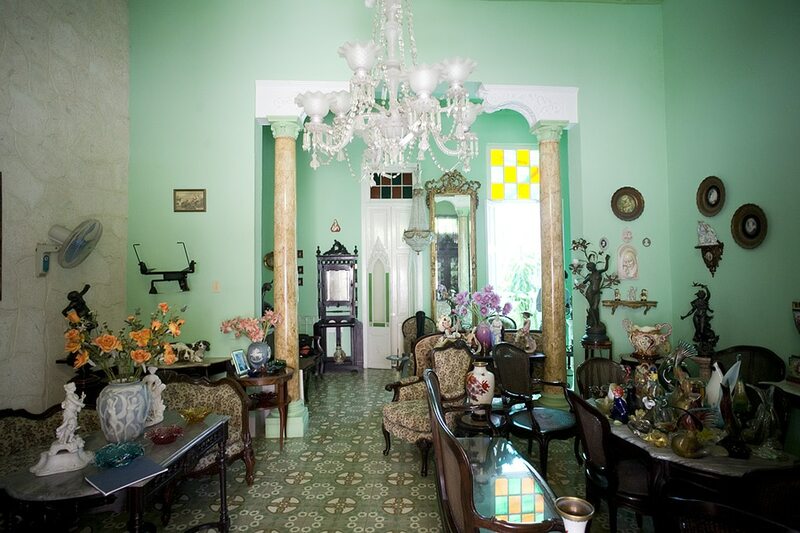 This is a beautiful casa particular in Havana, with an incredibly ornate interior. The location is 5 mins walk from the main tourist centre of old Havana. Breakfast was typical of Cuba, lots of fruit, juice, eggs, bread and coffee. People who worked here were very nice and helpful. We ended up being moved to a second casa on our 3rd night because we hadn't pre-booked all 3 nights and they were full, but the other casa was nearby and also lovely. 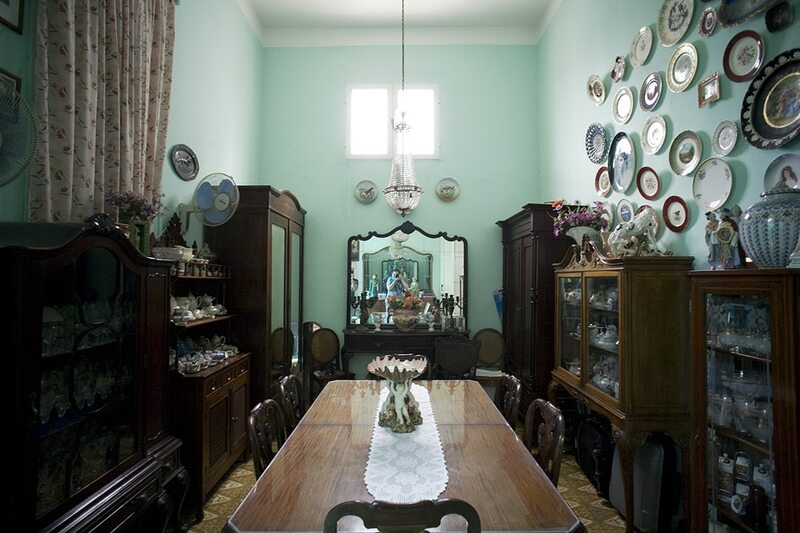 We've stayed in this casa particular for 5 nights during our trip in Cuba and loved it. It is situated just outside of Havana Vieja where the surroundings could seem a bit intimidating but it is a safe and quiet neighbourhood.The hosts (there are a few changing shifts) are amazing and the supplied breakfast was probably the best in all of cuba (we travelled around for 5 weeks).Not as intimate as some other cases we have stayed (this one is slightly bigger) but a great opportunity also to meet some other travellers and share experiences of Cuba.A great roof terrace with shade cloth to spend the hot afternoons reading a book or enjoying a glass of rum at night, airconditioning and fans in the rooms to cool yourself down.Some rooms have ensuite bathrooms, others share a bathroom on the hallway. Depending on your preference indicate this in your booking. We didn't mind sharing the bathroom and shower but did not expect this before hand.